Expand search to view more listings in and around West Conshohocken. See more offices in and around West Conshohocken. 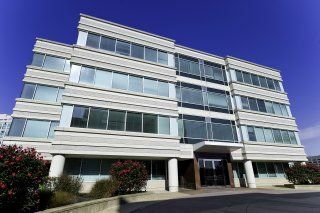 Find your ideal office space in West Conshohocken with Offices.net's powerful service. Our comprehensive knowledge enables us to find the property you require from a variety of prestigious locations and office space options. Many of our offices offer simple, short term and flexible rental agreements, so that your company can gain the benefits of a wide range of facilities and a prestigious address in West Conshohocken, with a rental agreement that is tailored to match your company's needs. Finding the right location which enables your business to have the space it needs and also to build the right network of connections can be both a challenge and an opportunity. Many companies choose flexible office solutions, which gives them the freedom to expand or contract depending on their immediate requirements. Every office on our site has a page dedicated to it, which lists the features offered by each building. Click on any of the offices shown above to find out more about them, and if anything you are looking for isn't immediately obvious please feel free to contact us and ask. Choose from the list of temporary office space in West Conshohocken listed above or give us a call if what you need isn't here. We can help you find the space you need, where you need it, at an affordable price with a flexible, short term agreement. Haven't got time to search? Just get in touch using the number or form above and we'll be more than happy to recommend some options in and around West Conshohocken. All we need to know are your basic essentials; the number of desks you need, your company's ideal locations and your budget.